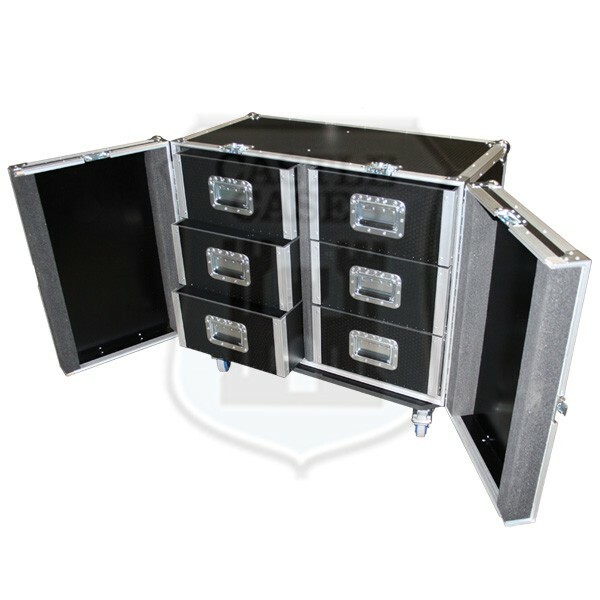 Our Tech Cases are manufactured using heavy duty 7mm black hexaboard case panels and all edges are strengthened using aluminium case profiles and steel protective ball corners and braces. 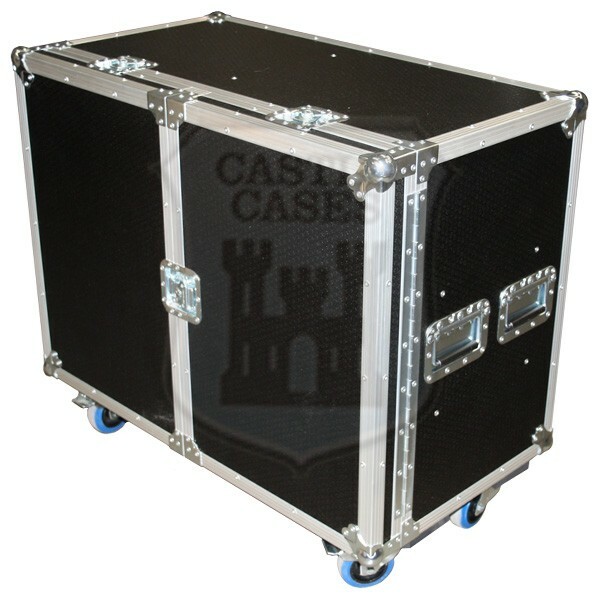 Heavy duty case hardware including padlock lugs fitted as standard to all catches. 4" castors fitted - 2 having brake facility. 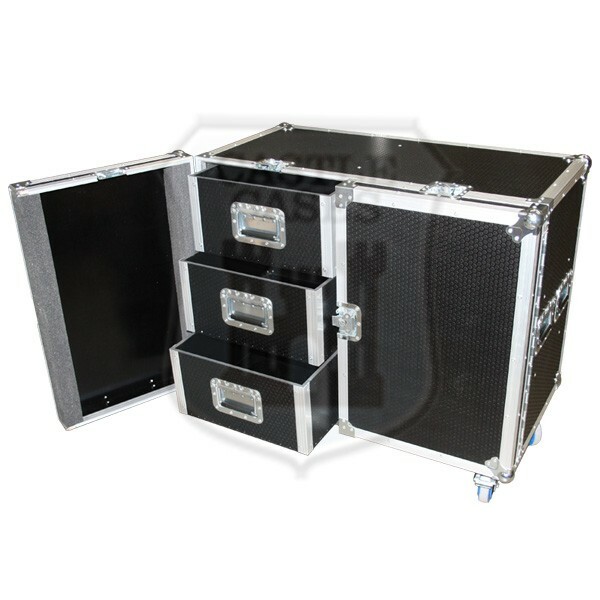 An ideal solution for storing and transporting tools and accessories. Double Hinged front door with 3 recessed butterfly catches. 6 removable 9mm hexaboard drawers with reccessed flip handles. External Dims - 930mm (W) x 500mm (D) x 830mm (H) Including Castors.